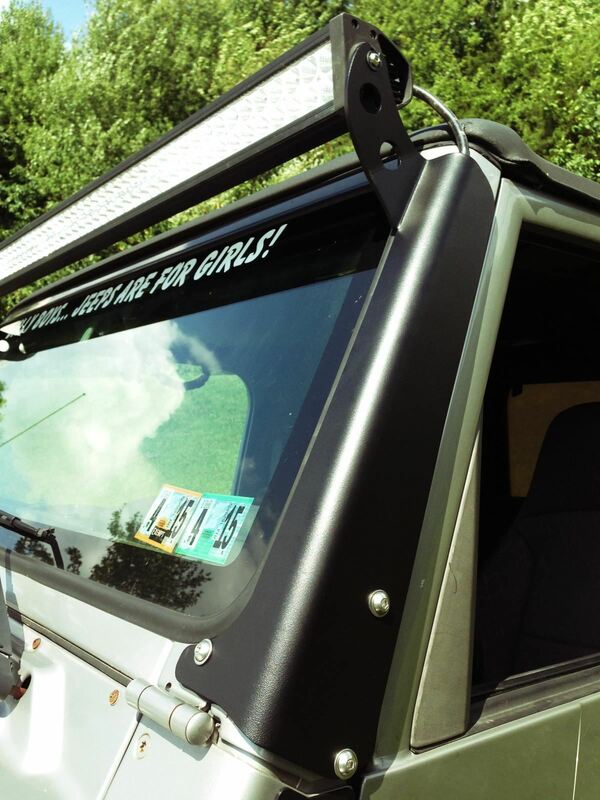 The Lifetime LED TJ Light Bar Mounts allow you to easily install a Lifetime LED 50" LED Light Bar above your windshield. The Light Bar Mounts are manufactured using 3/16" thick steel, laser cut and formed using a CNC precision press brake. They are designed as one piece construction with no weld seams for a smooth finished cosmetic look. No drilling or other modification is necessary for installation, they simply bolt to the windshield mounts using new stainless hardware provided. Precision cut Rubber Gasket liners are included with the light bar mounts to protect your vehicles paint from scuffing.